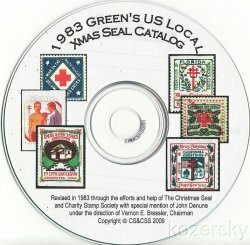 Green's Catalog, TB Seals of the World, Part 1, U.S. National Christmas Seals, 2014 ed., CD. This catalog illustrates images in color and prices U.S. National Christmas Seals 1907 through 2013, and ALA Spring Seals 1987 to 2013. Easily print your own catalog. 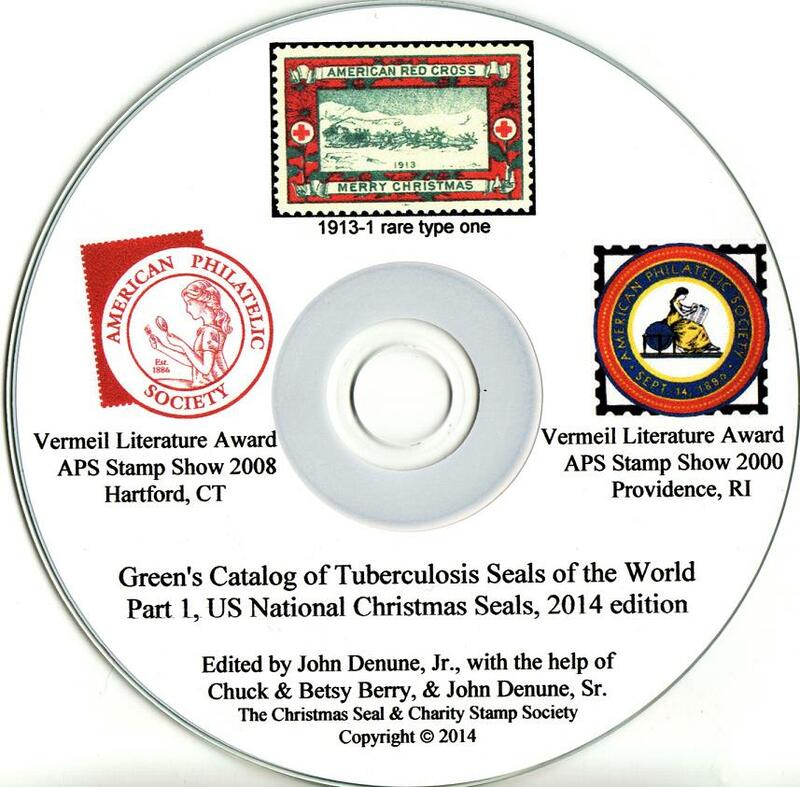 Green's Catalog, TB Seals of the World, Part 1, U.S. National Christmas Seals, 2014 ed., CD. This catalog illustrates images in color and prices U.S. National Christmas Seals 1907 through 2013, and ALA Spring Seals 1987 to 2013. U.S. National Christmas Seals and ALA Spring Seals for 2014 are identified, with images, however they are not priced by the society. The catalog includes all known varieties; single seals and sheets; proofs, essays and design experiments. In addition, information for seals tied on cover or card and Santa Clause Indiana first day covers are included. Published by The Christmas Seal and Charity Stamp Society (CS&CSS), 2014. Print your own catalog. Requires MS Word and ink jet printer. This is the latest catalog published by the CS&CSS. 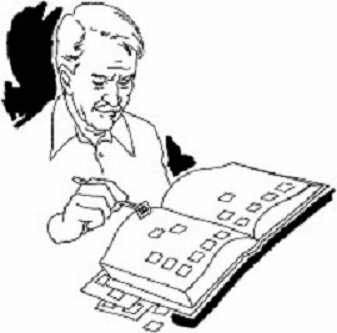 Since this publication is in the Microsoft Word format, you can reformat and print the data in any way you wish. Software is Non-Refundable and Non-Returnable. However, we will exchange for same item if CD is damaged in shipment.